The workweek is expected to start with a 108-degree high and mostly clear skies, according to the weather service. A sizzling Monday should give way to a break in the heat this week, the National Weather Service said. Temperatures will drop on a partly cloudy Tuesday with a 103-degree high. The Las Vegas Valley will experience a 20 percent chance of storms Tuesday afternoon and evening, the weather service said. After multiple intense storms this summer, the Southwest monsoon season will approach its end next month, as it typically runs from early July to mid-September. “It seems like monsoon season might be kind of trending downward here, at least for a little while,” meteorologist Reid Wolcott said. Breezes this week will help get rid of lingering smoke from California wildfires, the weather service said. The cooling will continue Wednesday and Thursday with mostly clear skies and highs of 102. Friday is expected to cool to 100 degrees. Lows throughout the forecast will be in the 80s. 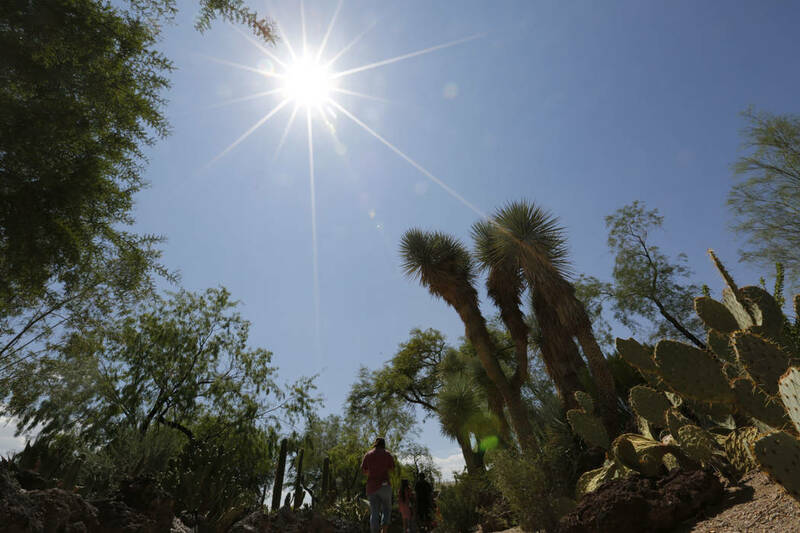 The normal high this time of year is 102 degrees, the weather service said. The valley is still about a month away from double-digit high temperatures, which usually return in mid-September. Contact Blake Apgar at bapgar@reviewjournal.com or 702-387-5298. Follow @blakeapgar on Twitter. Contact Katelyn Newberg at knewberg@reviewjournal.com or 702-383-0240. Follow @k_newberg on Twitter.